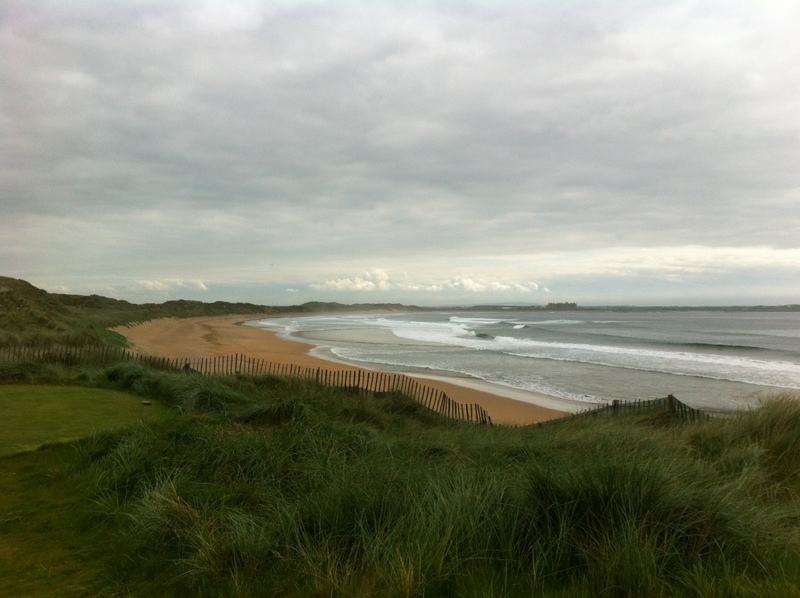 NORTHERN OR SOUTHERN IRISH GOLFERS – WHO ARE BETTER? With the Irish Open on next week’s horizon and with the hope of an Irish winner it is a timely topic – that of which golfers in Ireland are better, those from the North or South? So let us check the stats – 3 Majors for the South (Republic of Ireland) versus 4 Majors for the North (Northern Ireland), a very simple summation of things I suppose. The fact that one golfer makes up those three Majors from the South, Padraig Harrington, does make it seem all the more remarkable that Northern Ireland has produced four separate Majors winners – Fred Daly, Graeme McDowell, Rory McIlroy and Darren Clarke. 26 counties vs 6 counties add more fuel to the fire. We need to look deeper though. 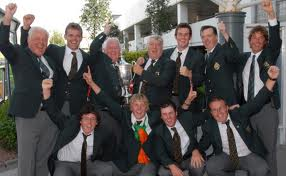 All the above players played under the banner of “Team Ireland” during the amateur days, which were all highly successful. They all received the same or similar backing from the Golfing Union of Ireland, maybe there was not as much support in the day of Fred Daly, but the other four definitely availed of the benefits of playing out of the Green McGregor bags. It is extraordinary to think though that Daly, Clarke and McDowell are connected to the same golf club, Portrush, while McIlroy is linked to Holywood and most recently Lough Erne. Harrington, of course, has a significant and long-standing connection to Stackstown in Dublin. So that’s Ireland’s capital city accounting for One Major Champ with Three Majors and then a small area like Portrush making up another three with the North edging ahead with Rory, again from a small enough golfing area. This makes for interesting reading and begs the question, what is the GUI doing in the rest of the country to bring through the talent?? It would point to the Ulster and Leinster branches being significantly more successful in developing their respective golfing talents. In the amateur ranks there have definitely been plenty of potential stars from Munster and Connaught but they have not come to the fore as maybe they should have, some exceptions to this but not in the Major winning bracket. Is it the setup to promote Junior Golf in the North against the way Junior golfers are treated in the South? Is the mindset of people from the North, more focused on getting the most from their games? The respective answers would be a Yes and a No from where I am standing. The overall support mechanism in the North seems better – from the support you receive from your home club, your provincial GUI branch, to the fact that the Northern families seem to get involved more – G Mac’s father as the US Open and Rory McIlroy’s father a year later are cases in point. If Harrington had McIlroy’s talent, however, he would be World No.1 – Paddy probably has the best work ethic of any golfer in the world so the mindset in terms of North vs South is not an issue. There are some very promising youngsters from all over the country waiting and/or hoping to make a breakthrough soon – Aaron O’Callaghan, Alan Dunbar, Keelagh McDonagh, et al but will they conquer the challenge of winning a Major? The North have non-Major winners like Hoey and Maybin plying their trade on tour to very good affect and while Shane Lowry is making a good living out there it is seen as a struggle at times for sure, there are not many other Southern Irish golfers you would look at as contenders these days – the powers of McGinley and McGrane for example are definitely on the wane. I see the support mechanisms being the main stumbling block to producing the very best golfers, it is just better up the North. Darren had his parents and better half looking on during his Open Championship triumph this July while Rory’s and also G Mac’s fathers were on-hand to celebrate once the winning putts were held at the US Open in 2011 and 2010 respectively, Harrington usually has his wife and kids on-course but the extended family are usually not at the event although may be watching on television. There also seems to be more celebration of a victory up the North, and I don’t mean just in the amount of alcoholic beverages consumed! Padraig Harrington’s 2008 USPGA victory didn’t even make the 8am sport news on Irish radio stations on the Monday after his heroic performance at Oakland Hills; it went to the English Premiership football results! That pretty much says it all when your home country wants to know how Liverpool, Manchester United, Arsenal, et al got on at the weekend rather than a quite outstanding sporting performance from one of their own. 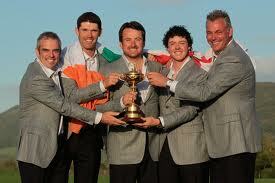 We are blessed in this country to continue to produce some of the very best golfers in the World. It seems, however, that they may well come from the 6 counties of Northern Ireland in the immediate future rather than the 26 counties of the Republic. I was lucky enough to play The Twenty Ten course at Celtic Manor on Saturday 25th June 2011 and also stay at the Resort itself, Celtic Manor is a phenomenal place and for any golfers that love his or her golf is a must play and stay venue. With 3 golf courses – The Twenty Ten, Roman Road and Monty courses – and 2 hotels, the Resort and Manor, on-site this is one of the ultimate golf venues in the British Isles. The Twenty Ten course is simply superb – a fantastic, fair and challenging layout, in excellent condition and they even managed to organise the weather for the weekend. The course keeps you thinkings on every single shot and the greens are well protected with deep bunkers while the greens themselves are undulating and test each and every part of your short game. Roman Road and the Monty course look the part as well, the only good thing about not having played them is that I will have an excuse to come back, and soon!! It’s also the little things that make Celtic Manor what it is – a phenomenal venue with a first-class service provided. Having got on an early flight from Dublin to Bristol we arrived before the group and the welcome we received was second-to-none! Extremely helpful staff, from the concierge team through the front desk and beyond, we really were treated like royalty. Breakfast was arranged for us and we got an extremely early check-in also which was great! We then had a meet and greet with the group at The Twenty Ten Clubhouse followed by us being brought into the locker rooms where we were given our own locker, name assigned, and also beside some of the heroes from last year’s Ryder Cup. Slightly before our tee off time we were then driven down to the road range/putting green area which is located beside the first tee. The 18 holes on The Twenty Ten course was thoroughly enjoyable and although we didn’t quite perform like we hoped we still had a great time. A delicious dinner followed and festivities continued on into the wee hours of the morning at the magical Merlin’s Bar! Another brilliant breakfast buffet followed the next morning and when we had collected our car from the excellent concierge team we were amazed to see it had been valeted and also fitted with an air freshener, there was also some provisions to help us on our way back from the hangovers! It’s just a pity the car was a rental!! Celtic Manor is a fantastic venue and is very accessible from Ireland – a 40 minute flight into Bristol followed by about a 40 minute drive from the airport. There are also the options of flying into Cardiff or any of the other local airports along with taking the ferry too. With stay and play packages from £99, bookable directly via www.celtic-manor.com, it is one of the venue you should have on your “To Play” list in the very near future. It’s consistently the toughest tournament in golf every year when par is usually the winning score, last year and Rory being one of the few exceptions. We’re off to Olympic Club in San Francisco where the patience and, of course, the golf games of the World’s best players will be tested to the fullest. I’m amazed TW is favourite for the US Open, albeit at a decent price for once! His game is in decent shape but he has won at Bayhill and Muirfield Village this season, venues where he has won at ease and many times while in his pomp so I would not put as much value with those performances as usual, added to that the struggles the chasing pack on both occasions endured adds no fuel to the fire that would have me recommend Tiger. He may contend but I think a top 5 finish may be his best result here. Westy is again looked at as somebody that should contend this week and I would not be surprised is he does, his performance in Sweden bodes well of course but only on rare occasions does the winner the week before triumph in a Major championship the week after. Lee’s putting and short game will be severely tested over the Olympic Club layout and I again see this being his biggest stumbling block to claiming a Major title. A good each way bet but I don’t expect Westwood to win. The current World No.1 would cement his position at the top of the game this week with his first Major win. I note the fact that I have tipped “Luuuuuuuuke” for numerous Majors over the past year but I think his game is ideally setup for Olympic Club. Lee Janzen won the last playing of the US Open here in 1998 with a score of level par and I saw a lot of parallels between the two players – both decent ball strikers but with short games to envy. Donald will be right in the hunt come the cauldron that will be the final round at Olympic Club on Sunday. I’d be getting you Rors at 20/1 with this UK bookmaker! The same price as last year has a nice ring to it and his good performance at the FedEx St Jude won’t do him any harm, his final hole disappointment may only help to spur him on all the more. Rory’s form wasn’t all that great last year when he got to Congressional and he doesn’t have the weight of the world on his shoulders this year like he did after Augusta this year. 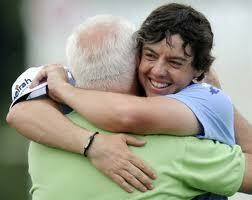 A great each way bet and expect Rory to come out of the blocks firing from Thursday! I’m a huge fan of Phil but the only Major I would usually look to him to do the business would be the Masters. There is a lot better value out there including many more US golfers in better form, sorry Phil but I can’t see it being your week! I’m liking Kuchar’s form this year, he won superbly at The Players Championship and I fully expect him to move on from the “Fifth Major” to winning one of the Big 4 tournaments this week. Great value as well, winner alright me thinks as the US continue their comeback into the upper echelons of world golf – I’m getting worried about the Ryder Cup already!! It could be a battle of the 28/1 shots this week in San Francisco as the two form players in the world come under the spotlight. Dufner is steady steady steady and he just seems to have ice in his veins at times. Having said this, however, his eventual collapse at the US PGA is the only worrying point. He looked coolness personified until fairly late during the back 9 on Sunday where the wheels well and truly came off. Furyk is the sort of US Open specialist that you may always look to in the betting. Solid off the tee, a superb iron player and generally an excellent putter when the pressure is on, his putting of late has been a concern but he seems to be creeping into form at the right time. One for the shortlist although he should probably be a higher price in fairness, do you hear me Paddy?!?! Paddy has an outside chance, he played well in the St Jude Classic and will hopefully take that form into this week. If he starts well expect him to stay in contention, worth a few quid as he could be the only sportsman wearing green doing well this week! 2010 US Open Champ G Mac comes into the tournament having little or no form. His terrible showing in Memphis which resulted in him missing the cut did not help in the slightest for his confidence either. Not for me this week. Huge odds for his first US Open appearance do not foster much optimism but Peter has been playing well and you just never know with up-and-coming Irish golfers these days. What’s a €1 each way??? Big D doesn’t tee it up this week with the Irish Open his hopeful comeback, we wish him all the best for this and the links will hopefully bring out the best in his game. Some long shots to consider – David Toms 150/1 with Coral, Jason Day 66s with Coral, Louis Oosthuizen at 66s with Coral and Geoff Ogilvy 80/1 with Bwin, special mention goes to a namesake of a very good friend of mine, Brian Gaffney, who is at 2,500/1 with BetVictor! I hope ye enjoy a week of watching the world’s best golfers struggle over the layout at Olympic Club and, of course, win a few quid along the way! Best prices from oddschecker.com Mobile App as at 10.53pm on Wednesday 13th June.